For the salad, bring water to a boil and add the quinoa and sea salt. Cover, reduce heat to medium-low and simmer 15 minutes. Turn off the flame and set aside to cool, fluffing with a fork periodically. Bring 1 cup water to a boil in a saucepan, add the corn and simmer 2 to 3 minutes. Drain and rinse under cold water. 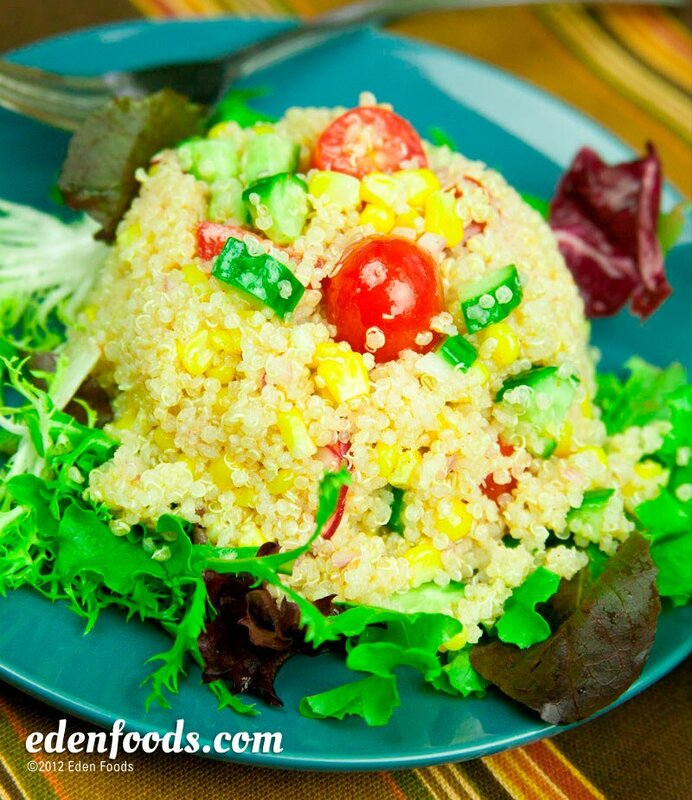 Place the corn, tomatoes, red onion, radish and cucumber in a mixing bowl. Add the quinoa to the mixing bowl. To make the dressing, combine all ingredients in a blender and pulse until smooth. Stir the dressing into the salad. Serve room temperature or chill for 1 hour.